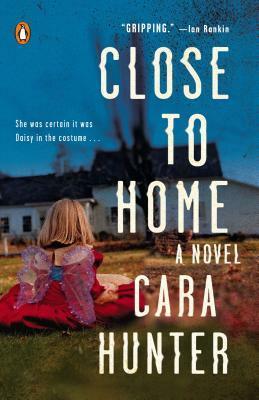 Today I'm featuring Close to Home by Cara Hunter. Published in the U.S. in 2017, this novel is the first book in the DI Fawley crime series. The excerpts are from a trade paperback edition borrowed from the library. It's getting dark, and the little girl is cold. I'm going to say this now, before we get started. You won't like it, but trust me, I've done this more times than I care to punish myself remembering. In a case like this — a kid — nine times out of ten it's someone close to home. Family, friend, neighbour, someone in the community. Don't forget that. However distraught they look, however unlikely it seems, they know who did it. Perhaps not consciously, and perhaps not yet. But they know. Page 56: "Barry's eyes narrow. It's as if a switch has flipped. Or perhaps a tap turned off is the better analogy. Because there are no tears now." My thoughts: I've been on a psychological thriller reading spree of late, and I think that in this book I've found my next read to keep the streak going. From Goodreads: They know who did it. Perhaps not consciously. Perhaps not yet. But they know. This Friday Focus post was originally written and published by Catherine for bookclublibrarian.com. It cannot be republished without attribution. Retweeting and sharing of this original post on Google+ are appreciated.